Last week, we put bamboo blinds on the naked kitchen windows. I thought it would help with the empty feeling of the breakfast area, but it kind of made it worse. It was too stark of a contrast in the sea of white. 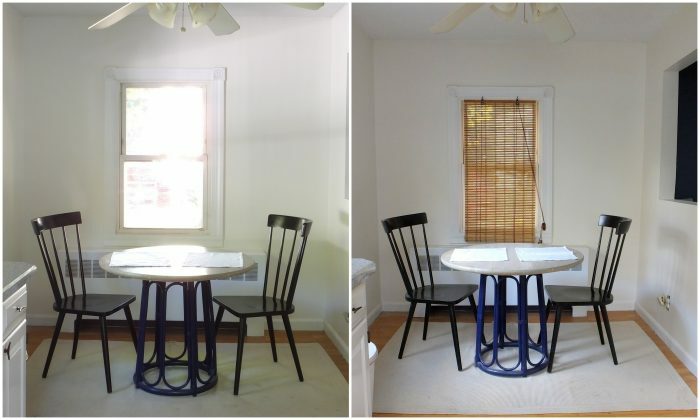 Curtains would help, but they aren’t possible because of the positions of the windows. We needed some art to balance everything out. But that’s where I was stumped. What kind of art? And where? The thought of framed pictures on either side of the window wasn’t doing it for me. 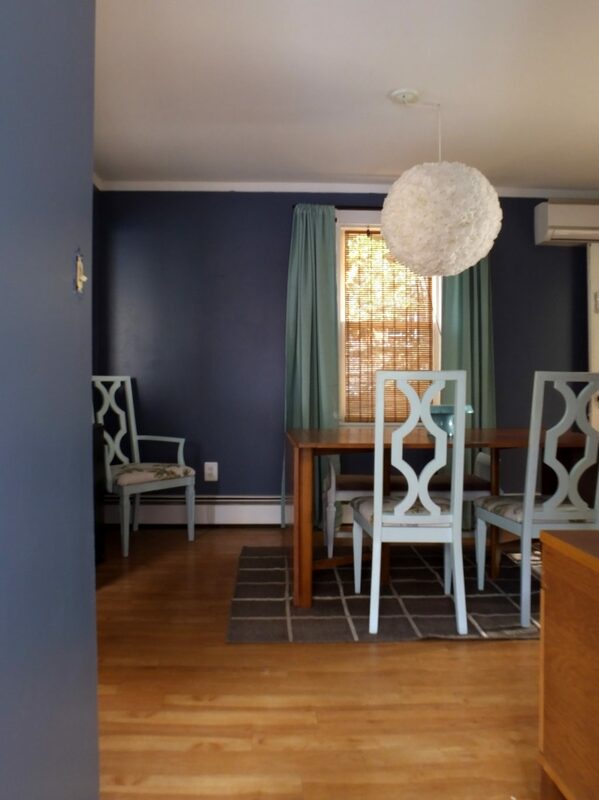 We needed something natural and textural to warm it up and tie in to the kitchen better. 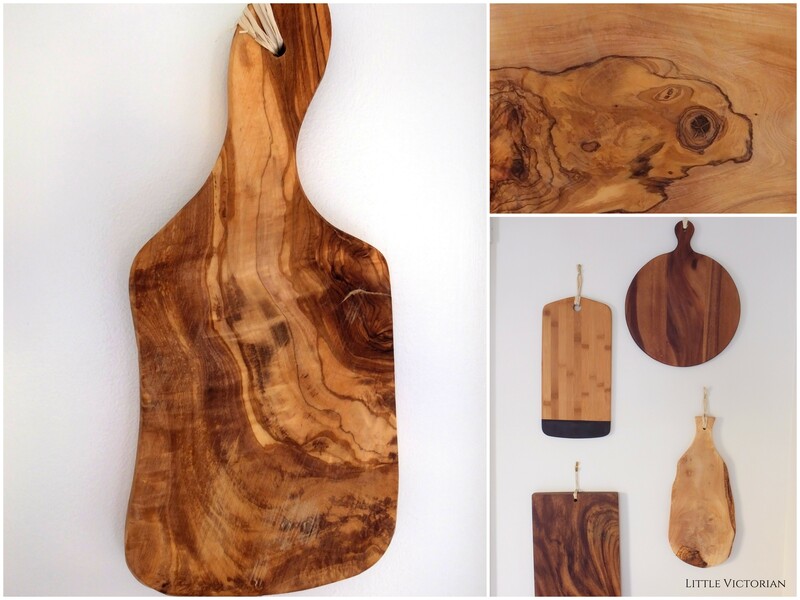 So I browsed Houzz for a couple days and found a gorgeous photo of wooden cutting boards as wall art. Let me tell you, if you have a Home Goods within 2oo miles of you, you need to go there just for their amazing variety of wooden cutting/serving boards. I’ve been ogling them for over a year, but couldn’t justify a purchase since we didn’t need them. Well, yesterday, I got to buy not just one, but 6 of them! The prices ranged from $7 to $15. My total was around $60. The two rectangle ones didn’t have have holes in them, so I just grabbed the 3/4″ drill bit and added them. I wanted to hang them with jute or twine or some sort of rope, but all I had on hand was raffia, so they are hung with that temporarily. And, literally, The Hubs walked past as I was typing this, and said “What about leather straps to hang the boards with?” Genius! I’ll be picking up some leather next time I’m at the craft store. Art in the kitchen is a tricky thing! Do you have any? How did you decide what to put up? Love that cutting board that you have taken the close up from! They seem to belong there, I also like to use everyday items and also old utility items as display items. I like the idea very much. 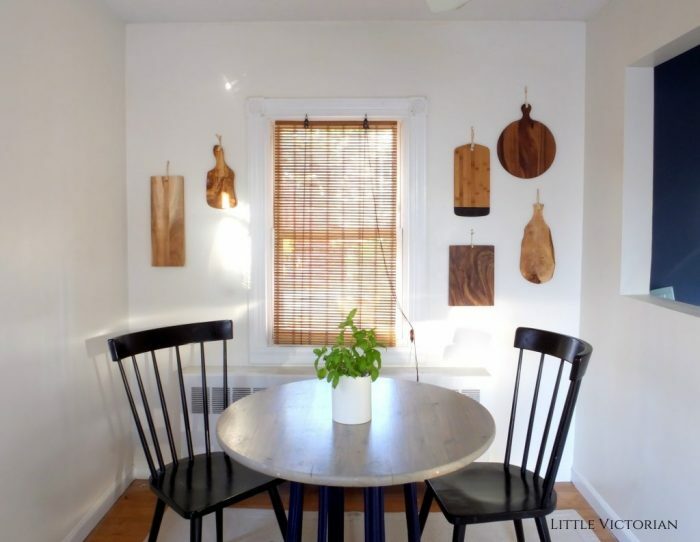 It makes sense in a kitchen and the shades of the wood are lovely together and compliment your blind. Absolutely genius! I love the warmth in the room now, not to mention that those boards are so beautiful! Thank you Thalita. 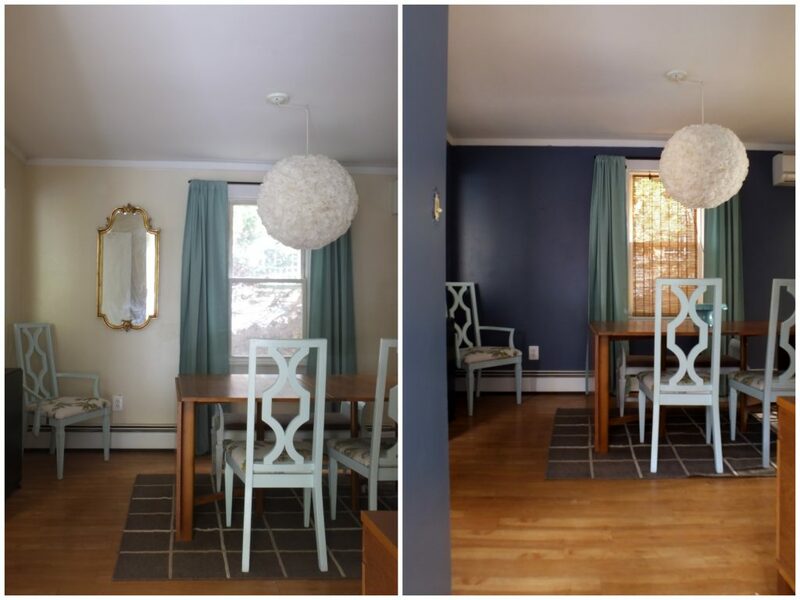 Don’t know what I would have done without Houzz for inspiration.